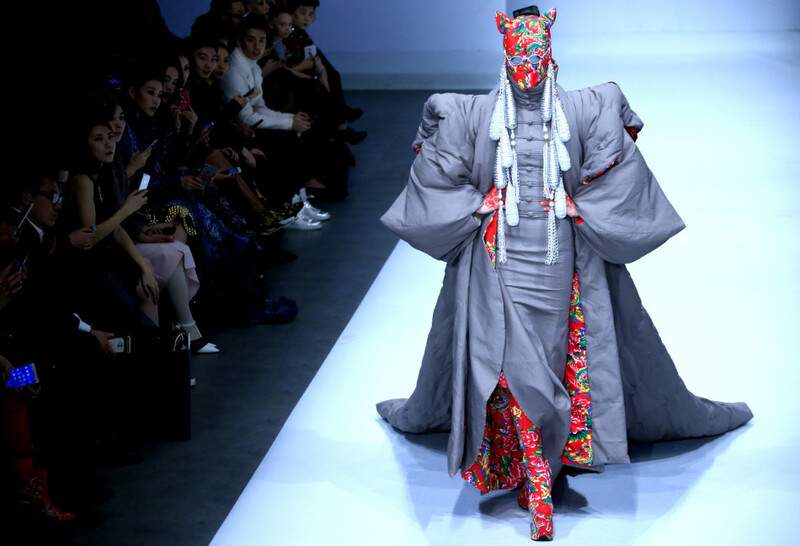 It’s not uncommon for models in sky-high heels to occasionally fall over on the runway, but it’s a whole other matter when three women in one show take dramatic spills. 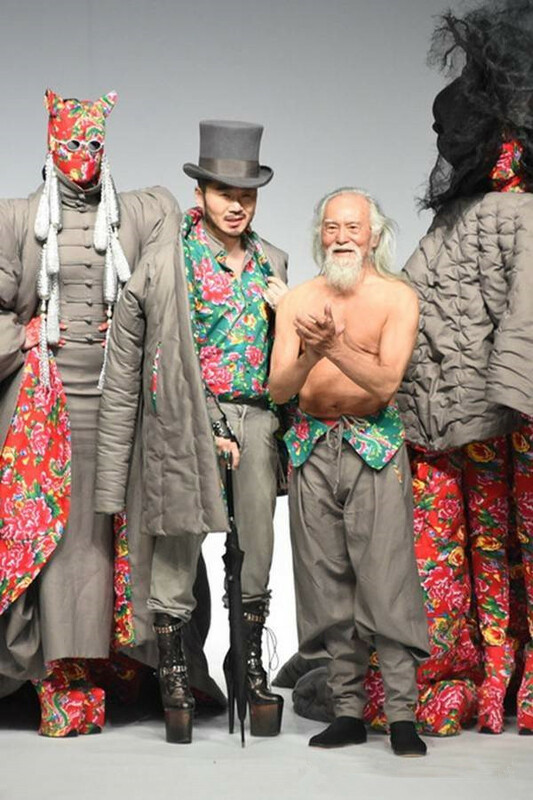 That’s exactly what happened at the Seccry Hu Sheguang presentation at China Fashion Week on Sunday, where models teetered precariously down the catwalk in seven- or eight-inch-high platforms. 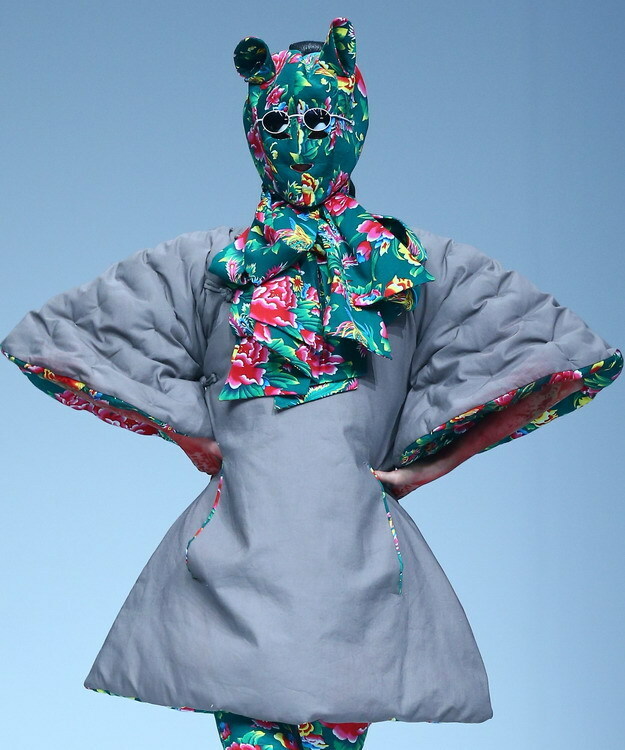 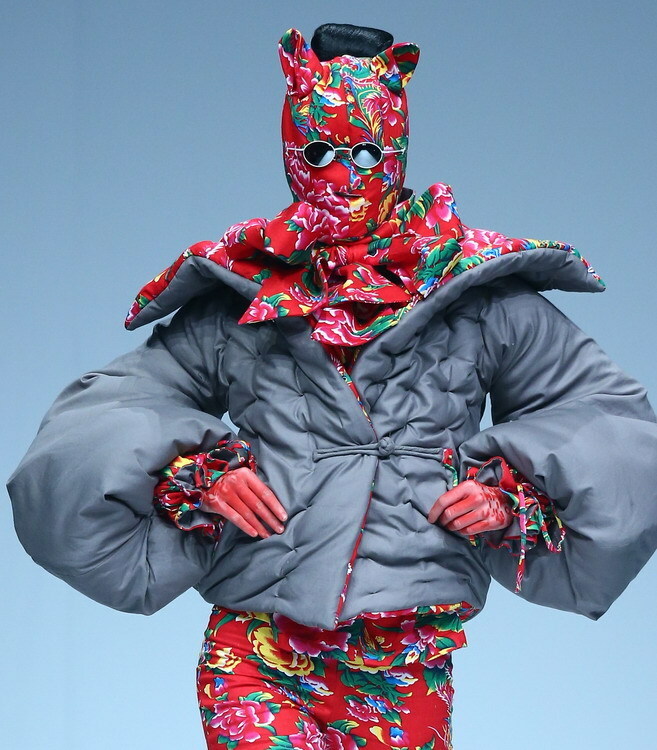 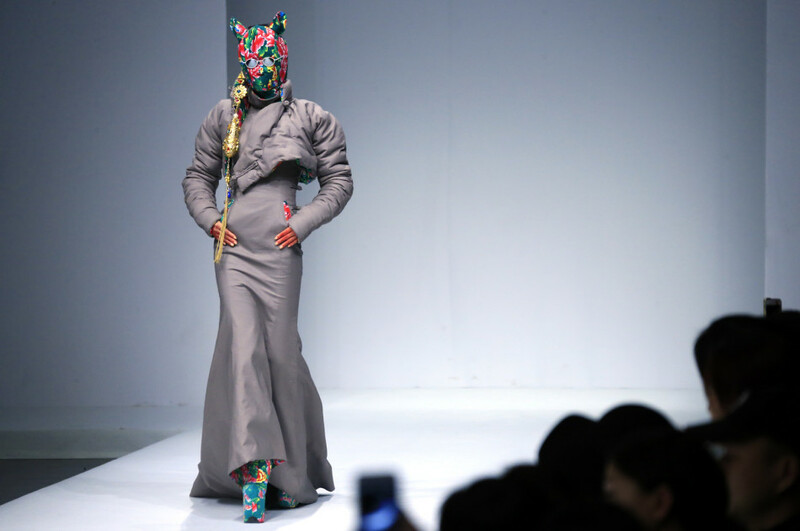 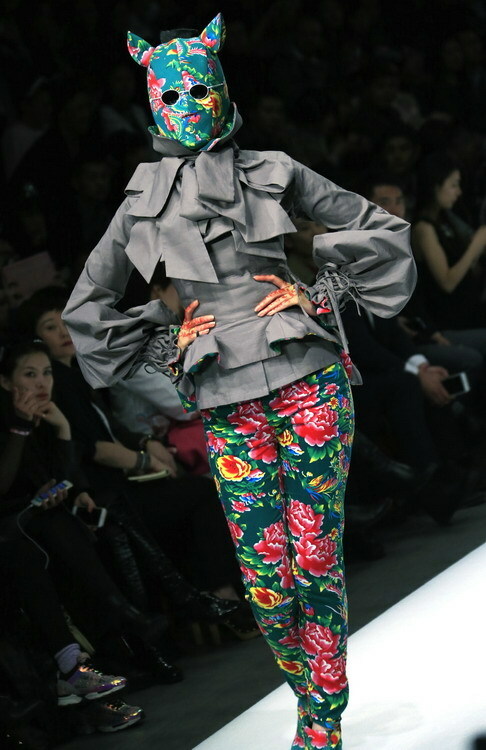 And I am sure you are very impress about this show and the designer Hu Sheguang! 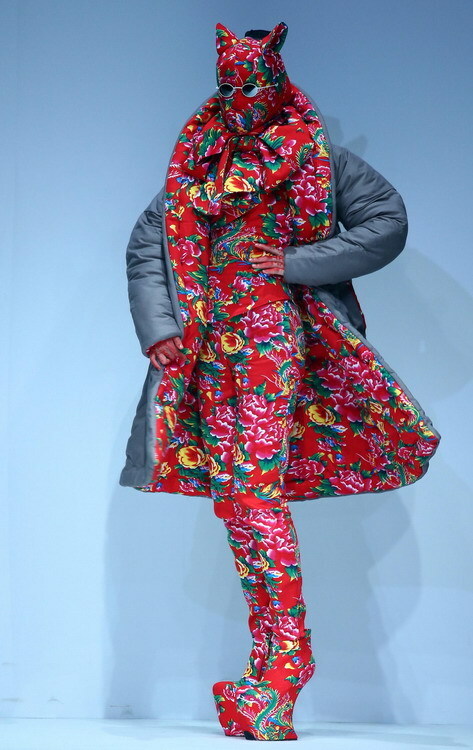 He is very amazing designer and the most important thing is, in 2015 spring, he brings us the cotton-padded jacket of Chinese’s style. 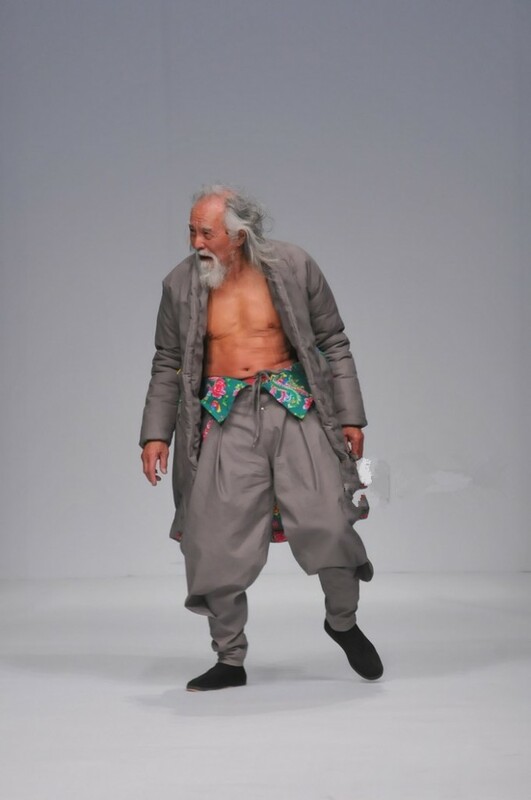 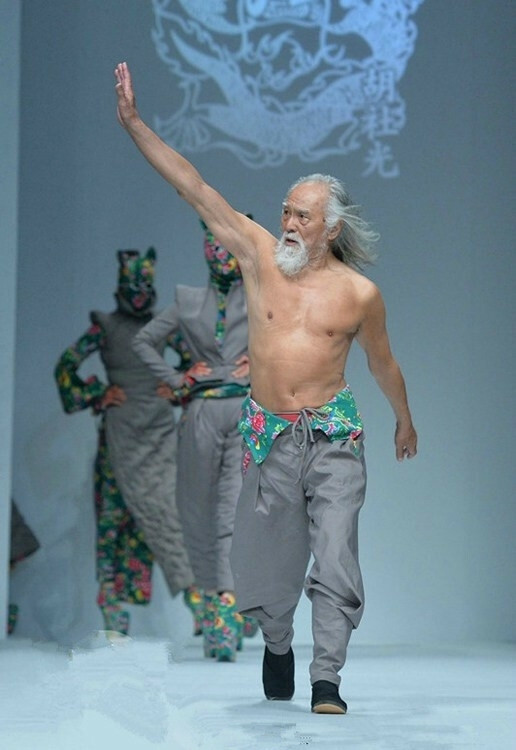 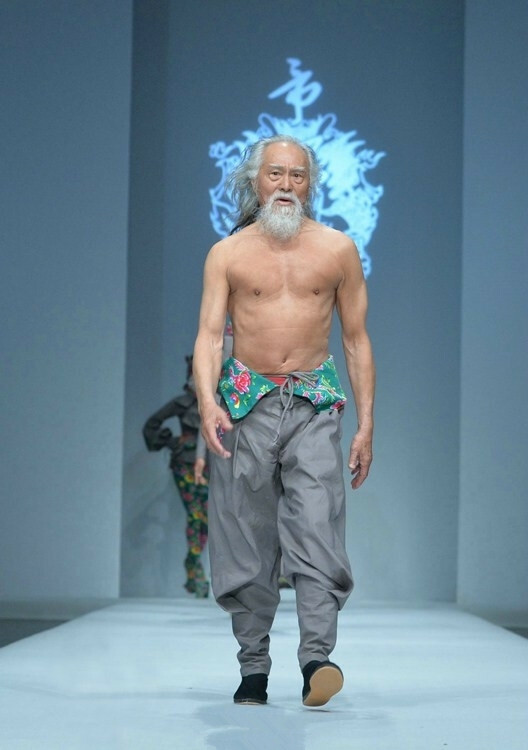 And the point is, a 79 years old man, Deshun Wong, is invited as an model for the 2015 spring show. 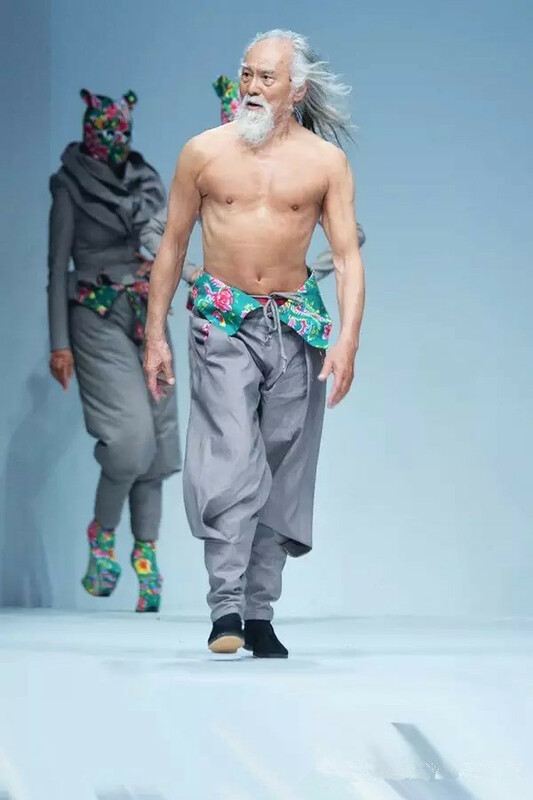 That is very special news in fashion world.